Wanna have fun? Wanna be inspired? Wanna see some great projects, and have a chance to win some cool prizes? 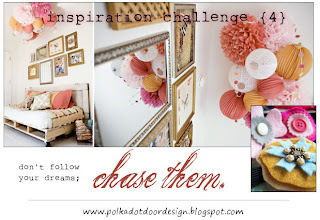 Then join us for this month's Polkadot Door Blog Hop and Inspiration Challenge! I am thrilled to be a Guest Designer this month for Polkadot Door Designs, and would like to invite you all to play along with us. The very talented Rebecca and Sarah has provided a little inspiration to give your creative juices a little kick-start. Now, here's where the hopping begins (or continues)...work your way through the fabulous blogs and see what the design team has created using this month's inspiration photo. As you hop, be sure to leave some love along the way, and head back to Polkadot Door when you're done. Leave a comment there to let us know you completed the blog hop, and tell us who your favourite designer was (there's a prize in it for you *wink*). And now on to the prizes...yippee!! The Challenge Winner will receive three sets of wooden cut-out embellishments from Pork Chop Show. The Blog Hop Winner will receive a gift certificate to the Live the Chaos shop and a mini stamp. Duetica is providing a HUGE give-away for the featured designer. The prize consists of their innovative software for creative fonts. Ready? Now go out there, and have some fun - I can't wait to see your creative inspirations. Love the doilies (medallions) and your colors are fabulous! oh wow.. that is superb stamping! looks like from a printer! awesome colors too! Beautiful take on the inspo photo Trina - love your color selections!! Beautiful! You've done such a wonderful job taking the inspiration and creating something gorgeous. 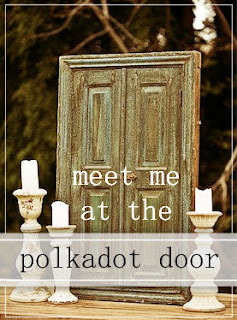 Thanks so much for joining us at the Polkadot Door! I love everything about it... great job using the colors from the inspiration photo! uh, oh...I should have hopped before I created! I used the same stamp set!! Needless to say... I love this look and style! Love your layout! Beautiful card! I love the dp you used. Great job. Your doilies are amazing! Love the colours and layout, it's fantastic! Beautiful card! Love all the Great ideas! This is wonderful! Simple, graphic and fabulous!